Trent, Sarah, and other Beamdog team members have been busy in the V/O booth creating new player soundsets for BG:EE, BGII:EE, IWD:EE, and NWN:EE. 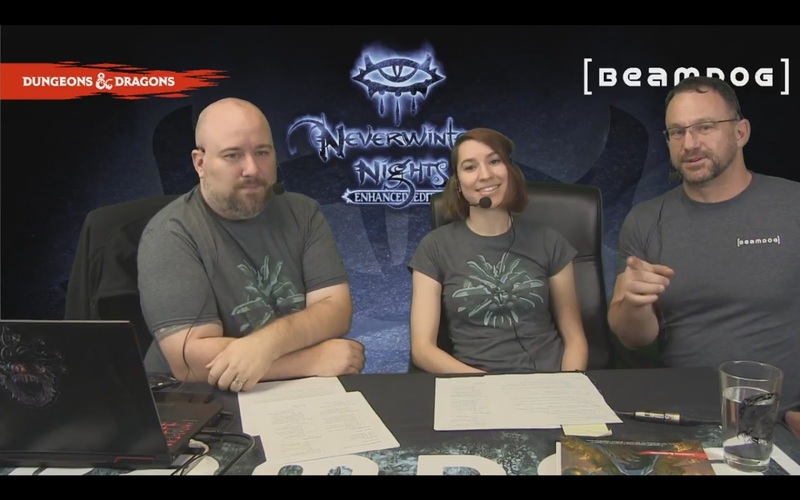 Today Beamdog Producer Luke Rideout and Community Manager Sarah Dawson shared the latest studio news and updates. 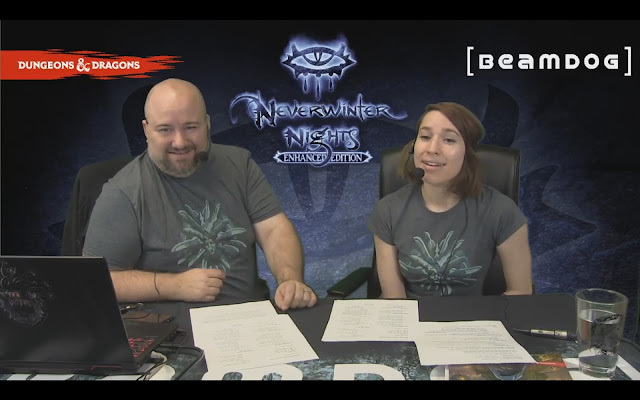 They talked about Neverwinter Nights: Enhanced Edition finally coming to GOG, the latest development progress on NWN:EE for Android, and an upcoming voice pack. 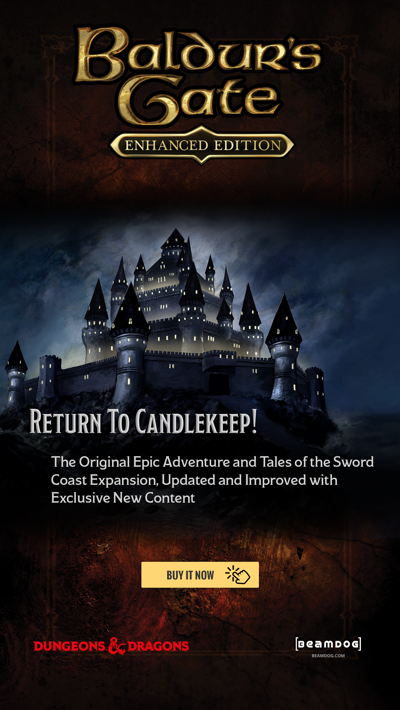 Icewind Dale: Enhanced Edition on Android and iOS is 80% off this week! Hurry up, and get it for only $1.99! During the next 2 days grab Icewind Dale: Enhanced Edition and Icewind Dale: Enhanced Edition Official Soundtrack for 50% off at Beamdog.com! The soundtrack now includes music from Heart of Winter. We’re still hiring! If you’re a developer, programmer, or technical artist, come and wort at Beamdog! Keep an eye on our jobs page! 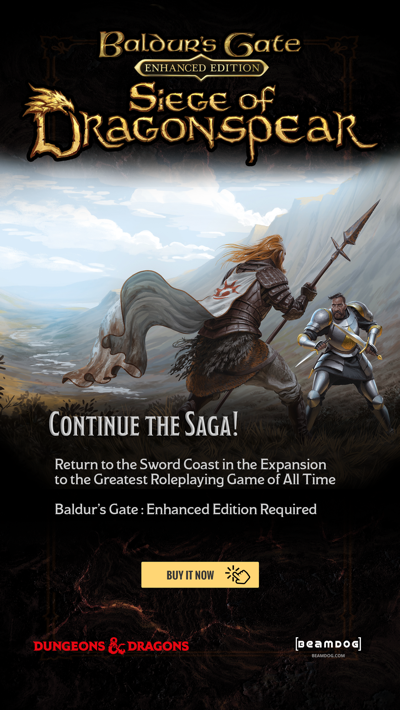 Don’t miss out on Beamdog sales, updates, contests, and more! Sign up for our newsletter for the latest. Neverwinter Nights: Enhanced Edition is now available on GOG! Don’t miss these awesome launch discounts: 25% off NWN:EE, and 35% off the Digital Deluxe Edition which includes several adventure modules, the game's Soundtrack and the Heroes of Neverwinter pack! For a limited time, owners of the Diamond Edition get an additional 25% off when purchasing Neverwinter Nights: Enhanced Edition and Neverwinter Nights: Enhanced Edition Digital Deluxe on GOG. Trent, Sarah, Dan, Andrew, and Elyse have been recording new player soundsets for Baldur’s Gate: Enhanced Edition, Baldur’s Gate II: Enhanced Edition, Icewind Dale: Enhanced Edition, and Neverwinter Nights: Enhanced Edition. You’ll want to hear that Trent yelling as a chaotic barbarian! In addition to directing the Beamdog crew, Mark Meer has also been recording new lines as drow sorcerer Baeloth Barrityl and that most major of the modern minor mages, Alveus Malcanter! Alveus Malcanter is coming to BG:EE, BGII:EE, IWD:EE, and NWN:EE as a magic item merchant with special wares for Dice, Camera, Action! voice and portrait pack owners. More news on that soon! 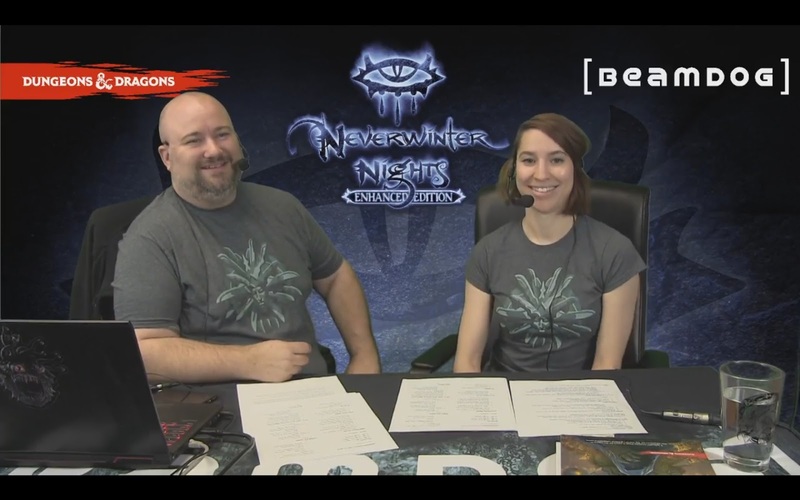 Everyone loves Baeloth. Everyone wants to be Baeloth. Soon you’ll be able to assign special soundsets of Alveus and Baeloth to your party characters! Again, more news soon™. We generally contract V/O artists for projects. If you have a portfolio and want to work with us, send it to contact@beamdog.com, and we'll pass it on to our creative team. The core UI pass for Neverwinter Nights: Enhanced Edition on Android is nearly done. On Monday we’ll be moving to the final bug gauntlet. Stay tuned for future public beta news! The way NWN:EE on Android will handle hak content is very similar to installing haks on PC. The file system on Android is quite open and allows having override and mod folders.We're considering “NWSync” for this in the future, but for the immediate future, “NWSync” is a tool to help with connecting to servers. Players on Android will be able to play NWN:EE on PW servers with custom content thanks to “NWSync”. Mobile players will be able to connect to multiplayer games similarly to PC, and multiplayer will be cross-platform. Modules can be installed through the file system. You’ll need to have some extra space on your mobile device, though, to download custom content, so it could be potentially space-intensive. Minimal spes for NWN:EE on Android are still TBD, but we recommend devices that came out in the last 3 years at least. In-between UI size is already possible for NWN:EE on Android. For example, players will be able to resize UI to 1.7., or 1.9, or whatever fits the screen. This feature, along with the True Type Font support, will be ported to the PC version. Achievements for Neverwinter Nights: Enhanced Edition are progressing. We have created a list of achievements, as well as the ability to track and award them. One of Luke’s favorite achievements is “Don’t believe his lies!” - which you will get by succeeding a hard bluff check.